The main aim of our Birth Preparation Workshop is to educate, prepare you for childbirth and give the necessary support and confidence to couples throughout the pregnancy period. As a mum-to-be, you want to deliver your baby into this world in the safest, most gentle and comfortable way possible. This workshop will also help your partner understand their role during your labour. The role of your birth partner is very important and if he/she feels confident and well-prepared, you will benefit greatly from his/her help! For any mum-to-be, being emotionally supported by their life partner during their pregnancy period is invaluable. What will you learn from attending our Workshop? Manage your expectations: birthing plan vs birthing outcome. *Exclusive for mums-to-be attending our Pregnancy Pilates either in Kylemore or Ballyogan. What do you need to bring to our Workshop? Make sure you and your partner wear comfortable outfits. There is no need to bring anything else. Our studios are fully equipped with the right exercise equipment that we are going to use during the workshop. We are looking forward to welcoming you to our next Workshop! What do clients say about our Workshop? My husband and I attended Deborah’s antenatal couples workshop one Sunday morning for a few hours. We are expecting our first child and have attended a couple of other antenatal courses during my pregnancy. Of all the classes, Deborah’s was the most practical, straightforward and hands-on workshop that we attended. It was also less of a time commitment and more reasonably priced than other workshops we had attended/ had looked at attending. On the day, we worked through positions and tips for labour and pain management with Deborah. The class was a great opportunity for my husband to get to know how he could support and assist me during Labour, as well as gave him the opportunity to learn and practice the massage techniques Deborah showed us. This has given him more confidence in how to help me when the time arrives. As the class was limited to three couples, it was easy for everyone to get individual attention and instruction from Deborah as well as allowed us to voice our concerns and questions. 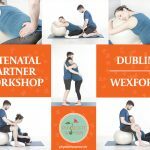 Both my husband and I would recommend Deborah’s workshop to other couples who are interested in learning ways to have an active labour and especially for those who want to empower their partner to assist them during labour. Attended the Antenatal Partner Workshop, and it was great!!! This particular workshop is more directed to the partners and helps us understand some of the anatomy changes that happen during a pregnancy, and how can we help alleviating the pain during labour. I found the initial anatomy lesson extremely(!!!) interesting and I'm also feeling more confident and more knowledgeable in terms of which massages can I apply to help my wife during labour. So, hopefully, I won't feel so unhelpful during labour. I'm really happy I have attended this workshop. 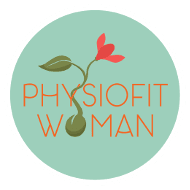 Deborah Fernandes is a Member of the Irish Society of Chartered Physiotherapist and the Clinical Director of PhysioFit Woman. 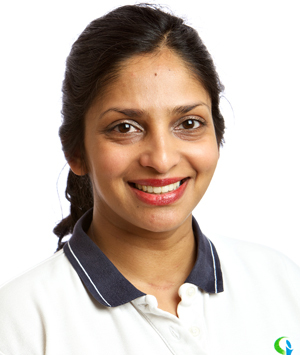 She runs a very busy practice where she offers Physiotherapy, Massage and Pilates classes covering a wide range of conditions and suitable to different stages of a woman’s life. With 20+ years of experience in Physiotherapy at International level, Deborah is delighted to put into practice all her knowledge and training in this specialised area and help women achieve better health and Well-being.